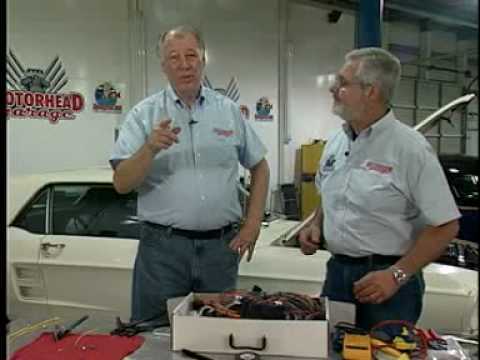 Maybe you just purchased a car that was rewired with one of our kits. Or, like most car enthusiasts, you have a project that has been in the works for years. Either way, we don’t put a time limit for Q&A on our harnesses. In the cases above, we’ll always want to identify what has been installed in the car. One of the reasons this is so important is because a harness with an unknown history could have been built by someone else. We’re always happy to help, but we’re not too big on guessing around here. Kits that use a GM-style fuse panel are not quite as obvious, but still have a clear label silk screened onto the face of the fuse box. The lettering has changed slightly over the years, but our information will always be there. If you’re not sure what you’re working with, the heart of the electrical system is the place to start!